With the threat of the Zika virus spreading during the summer months, the American Academy of Pediatrics (AAP) has extended its collaboration with ArcheMedX to power an online educational program designed to prepare health care providers to more effectively screen, test, and care for pediatric patients exposed to and infected with the Zika virus. Charlottesville, VA (August 29, 2016) – Today, the American Academy of Pediatrics (AAP) and ArcheMedX announce a new multi-year agreement to collaborate in the development and delivery of more interactive online education, including the recent launch of the Academy’s first online education program to prepare healthcare providers for the Zika virus. This newly released online learning program, Zika Virus: What Pediatricians Need to Know, is available free of charge to all 66,000 members of the AAP and to anyone who registers on the AAP website. “With Zika virus confirmed in the United States, it’s critical for pediatricians to have access to the most up-to-date information on screening, testing and caring for children who have been infected,” said Yvonne Maldonado, MD, FAAP, vice chair of the AAP Committee on Infectious Diseases. The course is available on PediaLink, the Academy’s online learning system for continuing medical education activities. The Zika learning program presents an overview of the epidemiology of the Zika virus, risk factors for Zika virus infection, clinical manifestations of the Zika virus disease, and current guidance from AAP and the Centers for Disease Control and Prevention regarding screening, testing and caring for pediatric patients exposed to and infected with the Zika virus. Interspersed throughout the education are critical references (factsheets, guidelines, patient tools, etc), which can be viewed online and downloaded immediately by each learner. Due to the rapid increase in information about Zika in children becoming available as a result of increasing experience with Zika-affected children, pediatricians should supplement their Zika knowledge through updates provided by CDC and AAP on their websites. According to the CDC, local transmission of the Zika virus has now been reported in several countries or territories in the Americas. There is recent evidence of local transmission of Zika virus in Florida, i.e. transmission from an infected human to a mosquito to another human. This makes it very likely that there will be additional cases of Zika infection due to local transmission within the United States, particularly in the southeastern states. In the current outbreak in Brazil, a marked increase in the number of infants born with microcephaly has occurred and Zika virus infections have been confirmed in some infants with microcephaly. Travelers to areas with ongoing outbreaks are at risk of becoming infected and spreading the virus to new areas, including the continental United States. Although the risk of widespread transmission of Zika virus in the United States is thought to be low, there will continue to be sporadic cases, including among pregnant women, infants and children. 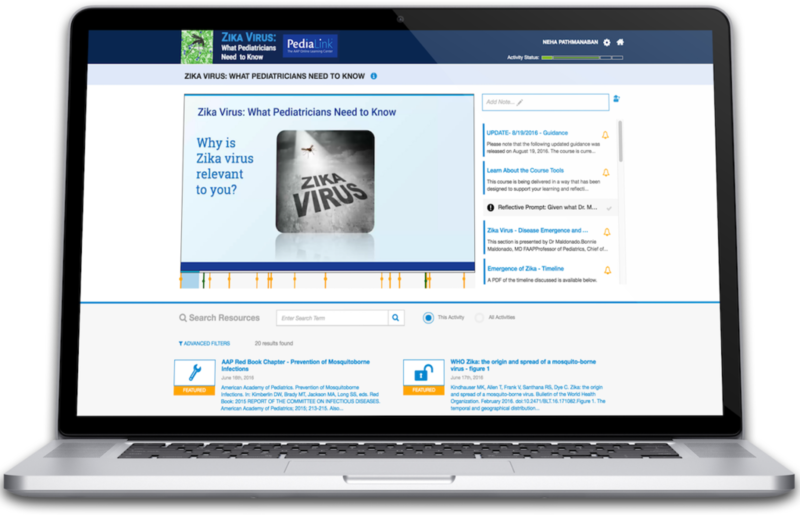 The AAP’s Zika educational program is being delivered within the ArcheViewer, an interactive eLearning and data analysis platform developed by ArcheMedX, to provide clinicians a more efficient way to review and absorb key information on the Zika virus and to provide real-time feedback to AAP regarding each learner’s experience in practice screening, testing, and caring for pediatric patients. ArcheViewer enables faculty to prompt learners to review additional resources, reflect, and respond to questions, making it simpler for learners to translate key recommendations into clinical practice. The platform allows learners to take notes synchronized to where they are in the module, submit questions to faculty, set personal reminders, and search relevant resources collated by faculty. As learners respond in the platform, data are collected, analyzed, and presented back to faculty through the ArcheViewer’s data dashboards. This approach enables the AAP team to assess the impact of their educational courses and to refine their presentations and resources as needed. The American Academy of Pediatrics is an organization of 66,000 primary care pediatricians, pediatric medical subspecialists and pediatric surgical specialists dedicated to the health, safety and well-being of infants, children, adolescents and young adults. For more information, visit www.aap.org or follow us at @AmerAcadPeds. ArcheMedX is a healthcare informatics and e-learning technology company that is transforming online education through a data-driven approach to learning. 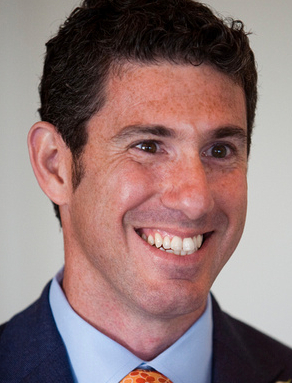 By leveraging nearly five decades of cognitive science and years of applied research, the ArcheMedX team developed the ArcheViewer, an award-winning e-learning and analytics platform, that enables educators to construct, deliver, and assess more engaging and effective online learning experiences. ArcheMedX currently partners with dozens of healthcare organizations (national medical societies, leading academic medical centers, and global medical education companies) to power and analyze hundreds of Web-based learning experiences available across dozens of clinical areas. Learners who participate in ArcheViewer-powered education have been found to improve their knowledge and competence at a level nearly four times greater than traditional online education. To learn more, visithttps://www.archemedx.com.